Cowabunga, it's time to build this totally rad Raphael 3D Burls construction figure! Raphael stands about 6-inches tall when completed and looks just like a 8-bit mini-statue of the popular Ninja Turtle. 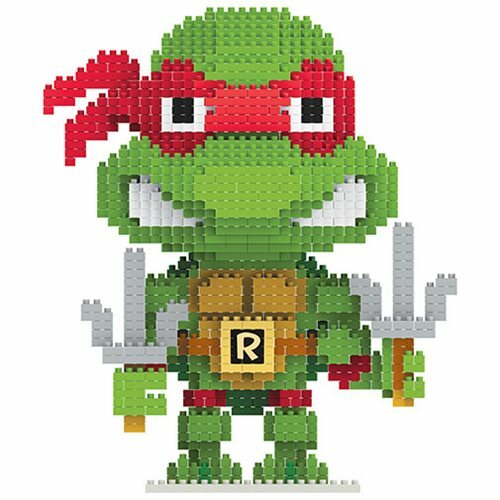 The Teenage Mutant Ninja Turtles Raphael 3D BRXLZ Construction Set contains a total of 1,251 pieces and comes with a display base. Ages 8 and up.